Jack Newton was born in 1942 in Winnipeg, Manitoba. He obtained a diploma in business administration during the 1970’s from Red River Community College and became manager for the stores Sears and Marks & Spencer. His interest in astronomy began in 1954 at the age of 12. Four years later, in 1958, he joined the Winnipeg Centre of the Royal Astronomical Society of Canada. In 1969, he constructed a 32-centimetre telescope and installed it under a dome in his backyard. He then started up an astrophotography section with the Winnipeg Centre and became the president from 1970 to 1972. In 1973, Newton’s work required him to move to Toronto. He began to test different film types for his photography work and one year later, in 1974, he published Astro Photography: From Film to Infinity. In 1975, he was elected president of the Toronto Centre of the Royal Astronomical Society of Canada. Still passionate about photography, he published An Introduction to CCD Astronomy and Deep Sky Objects: A Photographic Guide for the Amateur in 1977. In 1979, Newton moved again for work-related reasons, this time to Victoria in British Columbia. He continued to pursue his astrophotography activities and became the president of the Victoria Centre from 1980 to 1981. 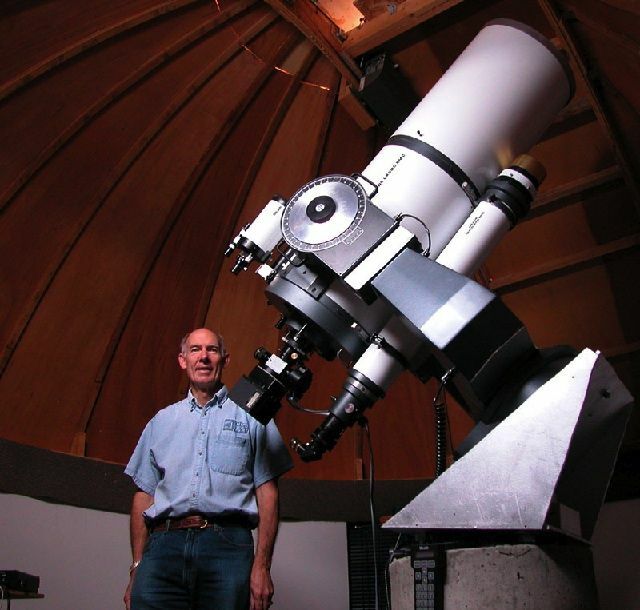 He wrote two books with Philip Teece: Cambridge Deep-Sky Album in 1983, and The Guide to Amateur Astronomy in 1988. From 1990 to 1991, he again became president of the Victoria Centre and, in 1995, he and Philip Teece wrote a second edition to their book The Guide to Amateur Astronomy. In 1997, he joined forces with Terence Dickinson and published Splendors of the Universe: A Practical Guide to Photographing the Night Sky. Throughout his career as an amateur astronomer, Newton regularly contributed to the magazines Astronomy, Sky & Telescope and SkyNews, and his photographs could be found in many popular media magazines like Newsweek and Canadian Geographic, or in books like The Audubon Society Field Guide to the Night Sky. He also organized a number of trips around the world to view astronomical events, such as solar eclipses. One of his more ambitious trips was in 1986 when he headed a contingent of more than 300 people to see Halley’s comet over Peruvian skies! Newton received the Queen Elizabeth II Silver Jubilee Medal in 1977, the Ken Chilton Prize from the Royal Astronomical Society of Canada in 1978, the Amateur Achievement Award from the Astronomical Society of the Pacific in 1988, and the Chant Medal from the Royal Astronomical Society of Canada in 1989.